I am always on the lookout for new recipes to try that are both healthy for my body and mind (this meaning they don't require much talent/low rate of failure for those of us who aren't cooking inclined). 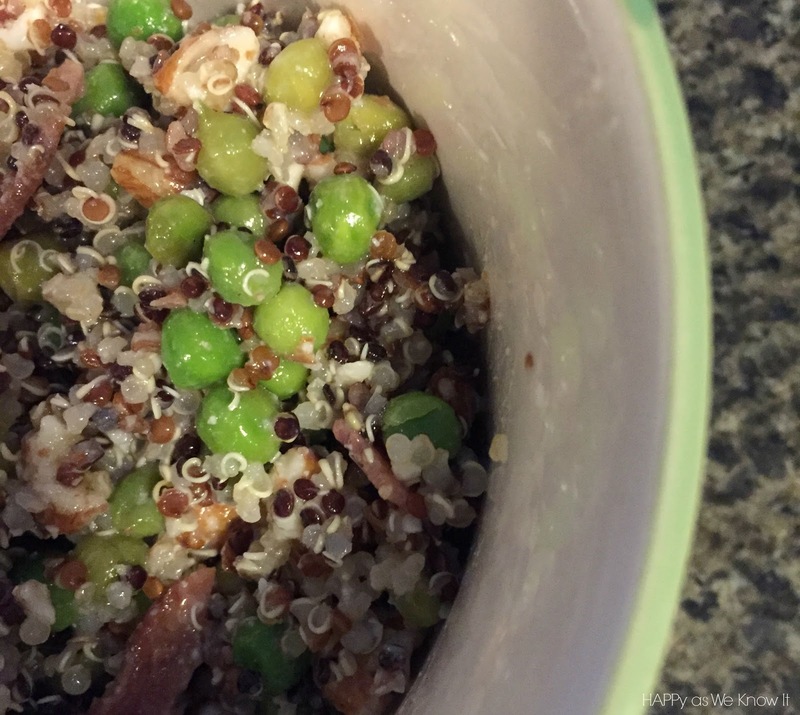 I recently came across this recipe for quinoa salad from a Pinch of Yum and decided to try it out last night for dinner with a few alterations. It was both easy and yummy, and both gluten and dairy (option) free. 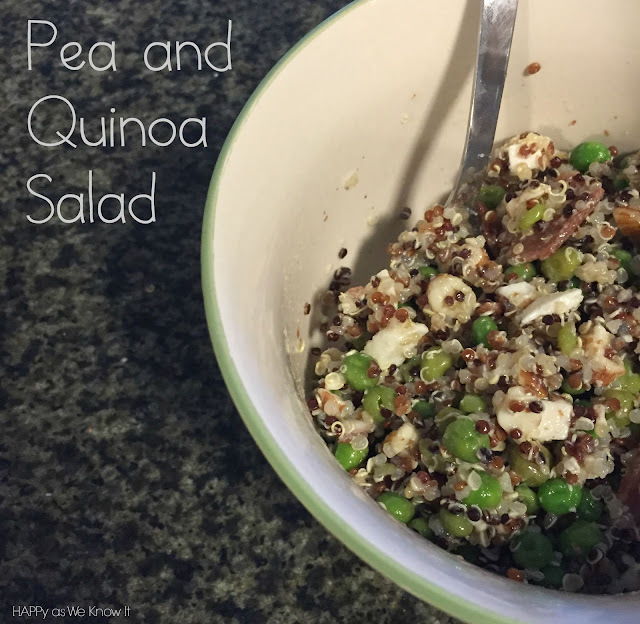 Makes for a great lunch time or evening meal in these fleeting summer days. 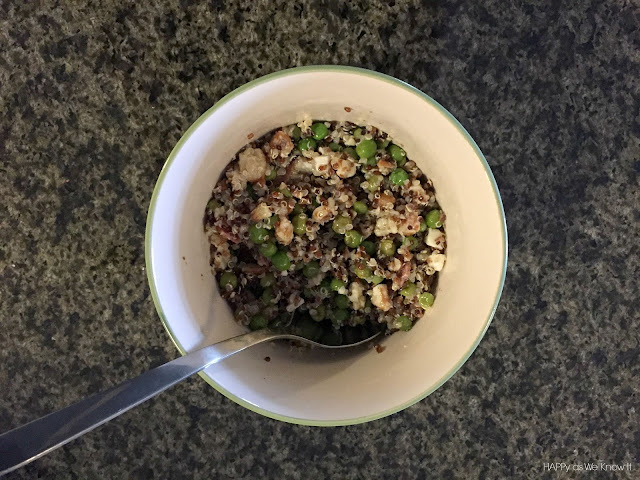 The original recipe called for feta cheese crumbles. I don't do traditional dairy so I swapped this out for chopped goat cheese instead. If you don't do dairy at all, you could certainly just take the cheese out all together. The recipe also called for bacon. While, I do, do bacon, we had some turkey bacon on hand so I opted to use it instead. 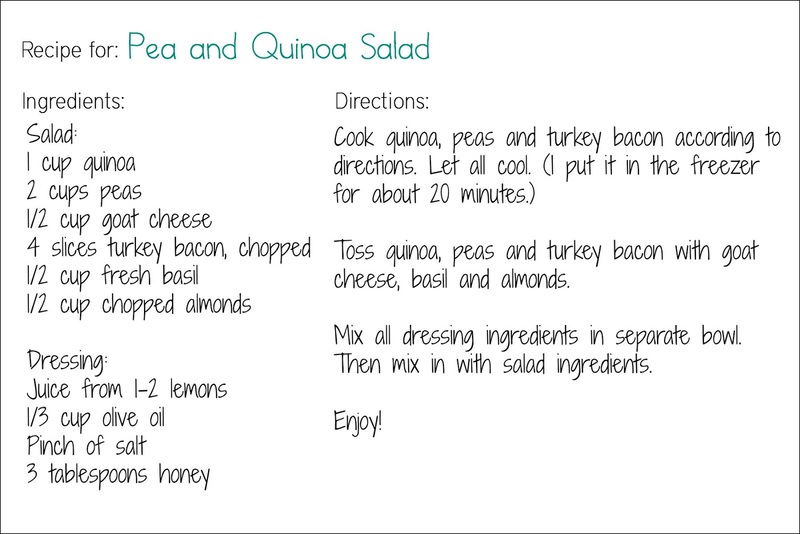 You could also add in some additional greens if your heart desires to give it more of that "salad" feel. I found it to be perfectly delicious on its own accord. Let me know what you think if you try it out :)!